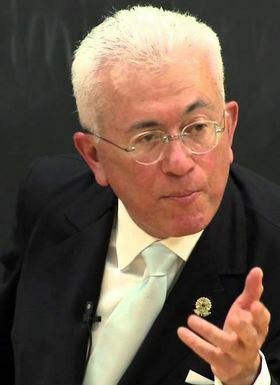 Roberto Mangabeira Unger is a polymath of Brazilian extraction teaching at Harvard University. He has had an extraordinary career in the United States and in Brazil and has written many books. His 2014 book The Religion of the Future is a remarkable offering in several ways and ought to serve as the point of departure for a major global debate about the nature of religion and its place in the twenty-first century. The book is deeply informed by the best scholarship on the history and philosophy of the world religions, intimately acquainted with movements in twentieth-century theology and philosophy, and unflinchingly radical in its originality and socio-political vision. Unger has a remarkable pedigree. His maternal grandfather, Octavio Mangabeira, became professor of astronomy at the Polytechnic School in the Brazilian state of Bahia, gained mass popularity after delivering an inspired public lecture on Halley’s Comet in 1910, and ended up, in the 1920s, becoming Brazil’s Minister for Foreign Affairs, before falling foul of the dictator Getulio Vargas and suffering years of imprisonment and exile. He returned to Brazil in 1946, re-entered politics and became a senator in 1958. Octavio’s brother Joao Mangabeira founded the Brazilian Socialist Party. Their sister Maria founded a religious order. Both of Unger’s parents were intellectuals. His mother, Edyla Mangabeira, was a poet and journalist. His father, Artur Unger, was a German immigrant to the United States, where he became a successful lawyer. Roberto Mangabeira Unger was born in Rio de Janeiro on March 24, 1947, when his parents, who were US citizens, were visiting Brazil. He grew up in New York, on Manhattan’s Upper East Side, but would spend summers in Brazil with his grand­father, Octavio. These summers, he later testified, deeply shaped his understanding of politics. But his whole extended family was rich in influences that can be seen in his prolific, radical and wide-ranging writing. He was a leader of the Critical Legal Studies movement in the United States in the 1970s. He has written extensively on political theory, law and the nature of the self, always with an eye on what can activate human emancipation. His latest work, with cosmologist Lee Smolin, is The Singular Universe and the Reality of Time: A Proposal in Natural Philosophy (Cambridge University Press, 2015). The Religion of the Future begins with a sweeping reflection on the religions that sprang from what Karl Jaspers, in the mid-twentieth century, called the Axial Age: the centuries in the middle of the last millennium before the birth of Jesus of Nazareth. In a tradition going back at least to Max Weber, Unger classifies the great belief systems of the world according to their existential orientation with regard to the human condition. Buddhism (and the Greek ethical philosophies of Platonism, Stoicism and Epicureanism) he sees as seeking to “overcome the world”, by attaining a state of detachment, serenity and benevolence. Confucianism he sees as seeking to “humanise the world” by ennobling and formalising human relations in a world otherwise without meaning or purpose. The “Semitic monotheisms” (Judaism, Christianity and Islam) he sees as “struggling with the world”; seeking to console humanity for the flaws in its condition and redeem it in the name of a higher order of things. Unger’s perspective on all these religions is critical, but not polemical. He exhibits empathy for what each seems to be striving to do. His scholarly understanding of their sources is as lucid and impressive as that of his great precursors like Weber, Jaspers and Toynbee. He argues that the existential orientations they offer will always remain human possibilities. In none of these crucial respects, therefore, can he be classified as anti-religious or any kind of secular vandal bent on the demolition of cultural traditions. Certainly there will be those who adhere to any one of the faiths he discusses who will want to put in a special case for their own set of beliefs. But the dispassionate reader is unlikely to find Unger crass or offensive in his general attitude towards religion as such or to any religion in particular. Nevertheless, his vision is both radical and revolutionary when it comes to the work religion needs to do and the philosophical or metaphysical foundations on which it must from now on seek to place itself. In these respects, his argument is certain to appear confronting to believers in any of the major religions and almost all of their more contemporary offshoots. He claims boldly that the modern sciences have now made clear beyond credible dispute that we must build for ourselves a religion “beyond wishful thinking”. There is no deity running the universe with our good in mind, he claims. There is no possible way for us to grasp why we are here, only that we are. And there is no afterlife to compensate in any way for the shortness, incompleteness or pain of the brief lives we have. This reality is all the more confronting, he argues, because we are “insatiable” in our appetites, imaginations and potential. The perspective thus sketched out, in the opening pages of his book, has various elements in common with some of the most famous modern philosophers, from Schopenhauer and Nietzsche to Heidegger and Sartre. But one of the notable features of The Religion of the Future is that Unger delicately and lucidly distances himself from all of these thinkers in articulating his own position. He rejects Schopenhauer as too pessimistic and too prone to a kind of solipsism which offers no commitment to grappling with the world as it is. He rejects Nietzsche’s “Prometheanism” as a neo-paganism with no serious moral content. He also rejects as sterile Heidegger’s neo-pagan worship of the radiance of times past and the mystery of existence itself. And he rejects Sartre’s radicalism as anarchic and irresponsible, because it fails to acknowledge the human need for institutional structures and meaningful rituals. He calls such anarchism, in fact, “the Sartrean heresy”. Our mortality, our groundlessness and our insatiability, Unger claims, are ineradicable flaws in the human condition. No religion can do away with them, though each tries to come to terms with them or console us for them in different ways. Nor can the sciences overcome these flaws, because they are existential constants that knowledge of the world can illuminate but can never eliminate. Consequently, he argues, we need a religion that acknowledges these realities unflinchingly and builds itself unyieldingly on the granite foundation of existential realism that they provide. We might choose to turn away from these truths and try to shelter within the porches of the old religions, but we cannot in good faith do so much longer. We need, therefore, to rethink, refashion and reanimate our religious cultures in the light of the harsh realities that modern science and critical philosophy have brought home to us. We are a species of conscious animal on a small planet far out on a spiral arm of a galaxy in the middle of a cosmos that has given birth to us, but has no interest in our well-being. Unger’s belief that something along these lines should happen is well-founded. His apparent confidence that it will happen is less well-founded. His enunciation of how human social order should be pragmatically refashioned to take account of the three great existential constants and unleash human desire to fulfil its boundless potential is breathtaking in its boldness, wholly abstract in its reasoning and baffling in its complete failure to address practical obstacles, strategic wisdom or possible compromises with existing political and religious institutions. His program is spelled out in the fifth, sixth and seventh chapters of his book—“Religious Revolution Now: Its Occasions and Instruments”, “Deep Freedom: The Politics of the Religion of the Future” and “Becoming More Human by Becoming More Godlike: The Conduct of Life in the Religion of the Future”. These chapters are worth reading and I read them very closely. But I read with a persistent sense of wonderment at Unger’s unwillingness or inability to ground his poetic vision in any kind of immediate, plausible program. Part of the problem is that he seems to have set out to simply provide a new vocabulary and worldview within which such a program might begin to take shape, rather than setting out to provide such a program itself. Another and more troubling problem, however, is that he pulls away from both scientific and social reality in the name of his “religion of the future” as if his new religion could be grounded purely in his critique of the old religions and the suggestiveness of his neologisms. He treats each of the old religions as if they had sprung from pure thought, the exemplary lives of their founders and the social need for what they offered. He fails to ground the phenomenon of religion itself in the long sweep of human evolution, as for example Roy Rappaport did in Ritual and Religion in the Making of Humanity (1999) or Robert Bellah in Religion in Human Evolution: From the Palaeolithic to the Axial Age (2011). Although Unger rejects all the metaphysics of the old religions, he at no point writes of human beings as evolved creatures. Instead, he consistently describes us as “embodied spirits”, a vague term wide open to abuse or misunderstanding. A further consequence of Unger’s rejection of a specifically naturalistic understanding of humanity is that he at no point so much as attempts to reconcile his enthusiasm for unleashing and fulfilling the “insatiable” in humanity now with the ecological implications of even the current standards of living of seven billion human beings on the planet. The release this year of Pope Francis’s encyclical on climate change and inequality, On Care for Our Common Home, has generated a wide spectrum of responses, some of them highly critical. Unger’s “religion of the future” seems to call for unbounded access to goods and services, unbounded liberties for individuals and strenuous demands for egalitarianism all at the same time. Yet he offers even less explanation than the Pontiff’s encyclical as to how exactly all these desiderata are to be achieved. Nor does he dwell upon any but the haziest idea of the human future on Earth, because he insists that we should concentrate on being liberated “now”. He often sounds like a new version of Herbert Marcuse preaching to the hermits of the Egyptian deserts. He is writing at a time, of course, in which debate about the nature and future of religion is considerable. The old religions have not disappeared and secular society is, in a number of ways, floundering. Islam, in particular, is aggressively seeking to re-establish itself. The new little book Islam and the Future of Tolerance, a dialogue between the atheist Sam Harris and the Islamic reformer Maajid Nawaz (2015) is, as Ayaan Hirsi Ali declares, an example of the kind of honest and civil dialogue that is badly needed. It would be interesting to see either or both of them in dialogue with Unger about “the religion of the future”. His arguments would surely strike Harris as dangerously anti-rational and Nawaz as dangerously anti-Islamic. But an honest and civil dialogue should at least be possible. The question is, what happens with regard to less civil interlocutors and where would Unger stand if and when the winds of violence and fanaticism blow? He never makes this clear in his book. Mark Riebling’s new book Church of Spies: The Pope’s Secret War against Hitler (Basic Books and Scribe, 2015) is a splendid and ground-breaking study in this problem. It is a highly illuminating new work on the vexed question of Pope Pius XII and the Third Reich, which shows the Pope struggling to reconcile his moral with his institutional and political commitments between 1939 and 1945. Riebling’s history is rich in the human and institutional complexities that Unger entirely fails to address. Eugenio Pacelli (Pius XII), he points out, was a highly sophisticated, deeply religious man who was both an accomplished papal diplomat before he became Pope and a man of profoundly humane moral principles who saw Hitler as a satanic figure and was appalled at both Nazi anti-Semitism and the Nazi persecution of the Catholic Church in the name of a crude neo-paganism. Riebling recounts how Wilhelm Canaris and his fellow anti-Nazi conservatives within the Black Orchestra were sickened by Hitler’s campaign to exterminate the Polish clergy and reached out to the Pope as an ally in the hope of bringing Hitler down in 1939. 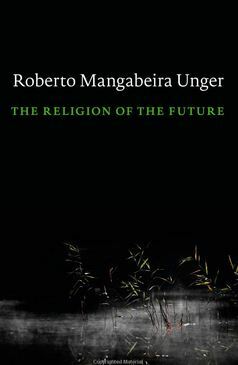 There is no such gripping, realistic scenario anywhere in Unger’s book, which gravely weakens it as a vision of the “religion of the future”. Unger (left) does not articulate clear or tangible moral principles, only sweeping existential desiderata. There were reports, in mid-October this year, of “civil war” at the pinnacle of the Catholic Church over moral teaching, with thirteen cardinals, including Australia’s George Pell, warning Pope Francis that the Church is in danger of collapsing, like liberal Protestant congregations, because of mooted compromises over both moral and dogmatic teaching. They may be correct. Whether such a “collapse” would be a good or a bad thing, of course, is a matter on which opinions differ very widely. But Unger ought to have pondered in far more serious and practical terms how his proposed religion of the future would either infuse and renew institutions such as the Catholic Church, or replace them with newer, more soundly based and durable institutions. He does not do this. Indeed, he airily insists that all institutions need to be sufficiently plastic as to be ongoing experiments in emancipation. Whether in terms of moral principles, organisational coherence, ritual practices or soundness of belief, this looks deeply problematic. It would have been reassuring to see Unger at least acknowledge this. Given both the book’s sweep and its flaws, it isn’t easy to enter a satisfactory net judgment on The Religion of the Future, but three conclusions seem to me inescapable: the book is too long and learned to be read by those most in need of rethinking their religious beliefs; it is too abstract and hopelessly utopian to be taken up in any but the loosest rhetorical manner by either religious reformers or the makers of public policy; and yet, in many ways, Unger is telling core truths and demonstrating poetic imagination in ways that are both refreshing and admirable. We need the kind of synoptic vision that he offers; a new “synoptic gospel”, if you like. We need the animated intelligence and generosity of feeling he exhibits. There are good reasons why we could do with an inspiring “religion of the future” and why the old religions are inadequate to the realities with which we now live. Paradoxically, Unger tells us at the end that no religion was ever founded by a priest or a scribe; only by the charisma and exemplary lives of prophetic figures. Yet he has offered us a large book. Does he see himself as some kind of philosophical John the Baptist? In the early parts of this book, I explored three major spiritual orientations exemplified by the world religions. I did so for the purpose of preparing the ground for the defence of a way of thinking that goes beyond what these orientations have in common. My argument can be read as an essay in the philosophy of religion, except that it is itself religious, and not simply an inquiry undertaken from the safe distance of uncommitted speculative thought. It might also be viewed as a theological text, except that it is a kind of anti-theology. He draws upon the work of Weber and Jaspers on the sociology of religion, but distances himself from them. He claims that Weber’s work on “rationalisation” and that of Jaspers on the “Axial Age” were merely dubious attempts by “the self-professed party of Enlightenment in the North Atlantic world” to cast itself as the beleaguered heir to all that was reasonable and restrained in history, against the storms of violent irrationalism that the twentieth century had brought forth and to give themselves a respectable genealogy. He repudiates, he tells us, the idea that religion is “the hazy penumbra and occasional ally of philosophy”. Rather, he claims, “the task of religion begins where the instruments of the party of Enlightenment lose their efficacy”. My argument about these past religious revolutions, about what they had in common as well as about the contrasting directions that they set, is motivated, directly and transparently, by a single purpose: the defence of another direction for the future. To take this direction, we must break with that common ground, undertaking religious revolution with new content and in new form. Nothing could be further from the intentions of the proponents of the Axial Age thesis. He concludes that “the commanding purpose of the religious revolutions of the past was not to advance a disinterested view of the world. It was to rescue mankind from its lack of imagination and of love.” It isn’t altogether clear whether, in ending his large book this way, he wanted to imply that he had wasted his time, being a mere scribe, prepared the way for commencing his public life as an exemplary visionary, or opened up the ground on which the rest of us might hear and heed the call of imagination and love issued by as yet unseen visionaries. Does he believe that the old religions can be revolutionised from within by imagination and love and come to form a cluster of renewed religions for the future, offering refreshed versions of their old existential stances? He doesn’t tell us. Does he believe that the literalist and militant advocates of the old religions, most fearfully in our time the Islamists, are apostles of imagination and love with access to truths that transcend those of the sciences? He takes no position on Islam specifically and makes no mention of religious fanaticism or dogmatism. Does he believe that his religion of the future is more likely to arise among unbelievers in the marketplace—where Nietzsche had his madman proclaim the death of God to the general scepticism and amusement of his listeners—or in the afflicted Muslim world, where armed fanatics are currently attempting to expel Christians, Jews and other “infidels”, to crush apostasy and to suppress moves towards female emancipation? He does not make any mention of these things. Does he believe his religion of the future can begin in our schools and take the next generation by storm? He demands a revolution in education, but makes no reference whatsoever to current or prospective curricula. Although often puzzled, sceptical or frustrated by The Religion of the Future, I never gave up, and read it word for word to the end. I recommend that all those interested in the prospects for religious belief in the contemporary world read it and use it as a foil to their own thinking. Although there are many flaws in Unger’s approach, his vast intellectual energy and passionate insistence on social and political openness are consistently engaging and, at their best, quite compelling. The man is clearly immensely well-read, and all the wonderful attainments of his family are evident in his manner and concerns. Still, I believe we need to ground an assessment of the future of religion in terms far more closely linked to the natural world, the “crooked timber of humanity” and the cautious wisdom of modern secular culture than Unger allows. I have sketched out such a vision in my own new book, Credo and Twelve Poems: A Cosmological Manifesto. Yet I can imagine enjoying a long and civilised exchange with Unger about the differences in our thinking and the vast scope for further thought. I hope that both our books will find readers among those whose religious beliefs are very different from either his or mine. Such readings and exchanges, I would like to think, will give us the religion of the future. Paul Monk is a partner in the critical thinking skills company van Gelder & Monk, formerly Austhink Consulting. His two most recent books, Opinions and Reflections: A Free Mind at Work 1990-2015 and Credo and Twelve Poems: A Cosmological Manifesto, can be purchased on-line at www.echobooks.com.au. The last thing this world needs, or ever needed, is more religion. Our mortality, our groundlessness and our insatiability, asserts Brazilian philosopher Roberto Mangabeira Unger, are ineradicable flaws in the human condition. (1) Unfortunately or otherwise, mortality is an inescapable part of life itself. Without it, the planet would not even have got itself up to the stage of being a gigantic pond of green slime. For some organisms to live, others must inevitably die and become in the process food for those others best at the art of survival. So mortality can only be a ‘flaw’ if there is to be no evolution of life forms: ie if there is to be no life. And you can’t have ‘mortality’ amongst bits of non-living matter like rocks and hailstones. (2) All religions are based on untestable propositions or hypotheses. So their potential number is infinite. However, if a body of doctrine is to survive rational analysis and criticism, it must be open to such. Even the review of this book is a somewhat daunting read, the actual reading of it obviously requires the intellect and thorough knowledge of the subject of someone like Paul Monk. One aspect of the author’s stance – and possibly of Monk as well – is the apparent disregard of anything that transcends the physical world. Considering the subject of religion while ignoring the spiritual realm does not seem at all appropriate. 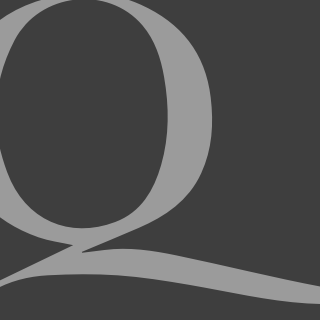 It is most unlikely that the notion of religion arose as the result of people’s desire for something to properly regulate their individual and community affairs, as the author seems to imply. Any such regulation would have to have been a consequence of religion, not the reason for it. Spirituality is a natural part of the human psyche, even though it is fashionable these days to vehemently deny it. There are numerous examples of aggressively atheistic people appealing to a higher power in life/death situations. Religions must surely have risen as the result of this inherent human spiritualism. All the world’s myriad creeds have one fundamental commonality and that is the belief in a higher power(s). Any tenet bereft of that might be some sort of an “ism”, but it is not a religion, yet the author seems to advocate the construction of a new religion with such vital deficiency. The great philosophers of the 20th century believed all philosophy was based in emotion and was not the preserve of learned men. Jacques Barzun and Bertrand Russell. Both placed great value in, and maintained, their links with the wider community. To this end it is the community that will decide the future of religion and the learned men would be wise to follow the movements in the wider community rather than attempt to define or lead those movements. At this stage in the wider community of West there us growing abandonment of non secularism as in the vast majority of the East. While showing a decided preference for secular life also has an oft expressed desire to find and adhere to an alternate ‘higher authority’ … rather than a central religious authority or a God who is defined by mortal authorities based in religions. Islamists greater hatred is of the secular rather than the non-secular. Religious people can be likened to addictive personalities. Addicts attempt to persuade others to their particular addiction. capable of great goodness and essentially moral but with occassionally errand ethics. I have faith those human attributes will ensue the continuation of a secular developing race which will outlive all the man defined religions and will see continued growth of knowledge. And thence of course we will become more and more “godlike” if you believe God is ‘all knowing’. Your argument is logical right up until the moment you wrote about “addictive personalities”. Surely you do not describe Johann Sebastian Bach this way – one of the greatest human minds whoever lived and a devout Lutheran. “Secular people can be described as tolerant”? Not by the general tone of your article; nope. He’s an atheist. The new religion he’s talking about is the one we live under now; it’s called secular humanism. It is a dismal failure. A dismal failure for regular people, yes. A great and ever growing success for the elitist one-world government social engineers. Yes he’s an atheist and a socialist but … he’s not in touch with the growing numbers of people who reject belief in the higher authority being a religious god, the state, or even merely a set of secular humanist morals. People still want to believe in a higher authority. I think people will eventually find the higher authority as a combination of parts of the current ‘models’ but that won’t be until they question the current models and find them wanting. If you don’t believe in God you believe in superman (or “super chimp” as my atheist friend once said). We are ruled by superchimps who think they know what is best for us plebs. Our rights and freedoms have been stripped away. This is your higher authority; I doubt you are enjoying it. BTW secular humanism is a religion and it is very intolerant of people who contradict its dogmas. So you conclude if I don’t believe in God then I believe in superchimp or superman. I’d love to see the steps in your reasoning. Is it not a requirement of religions to proselytize? Did Johan believe in proselytizing? I don’t attempt to recruit anybody to my beliefs… but I am entitled to express them and I’d never judge anyone who expresses their beliefs. As to the expressed thoughts and actions of those who think their beliefs are the only true beliefs especially when they proselytize. I will criticise them but I won’t attempt to stop them. Read “Thus Spoke Zarathustra” If you don’t believe in God then all you are left with is man (unless you want to believe in animals or terrestrial/ extra-terrestrial inanimate objects,). Man becomes God. The essence of secular humanism is self-worship. Aren’t we fantastic! Religion of the future is surely already here. It is called Environmentalism. Cannibalisation of Church’s ‘spiritual’ market share has forced it to reverse an earlier position about ‘pagan’ Nature worship, capitulate and “go Green”. Former priest, now climate alarmist, Paul Collins is one of the millions very excited about the Pope’s latest Encyclical and new “spirituality of Environmentalism”. “Pope Francis has issued the Vatican’s first comprehensive teachings on climate change. The pontiff decided to write his encyclical, which he’s named Laudato Si meaning “Praise Be to You” in Italian, after visiting Tacloban in the Philippines in March 2014, two years after the city was devastated by Taiphoon Haiyan – the strongest typhoon in recorded history. The encyclical has been sent to the world’s 5,000 Catholic Bishops and 400,000 priests, to Catholic schools and institutes. There are 1.2 billion Catholics worldwide, of which 5.4 million live here in Australia. Environmentalism will is used by our “super chimps” i.e. the U.N., World Bank, IMF etc to control us. Unfortunately the Catholic church is too weak to stop it and the Vatican is capitulating. “Terror”, both real and imagined, is also used. All we really have is ourselves. Goodness and the higher authority are within each of us. Read of the Egyptians beliefs. Amenhotep’s Book of the Dead and particularly the judgement of Orisis. You might come to the conclusion I arrived at. It is a self judgement in which what is determined is whether within the heart is evil or good. If good the the person proceeds to Paradise. If evil the person willingly goes to the Devourer of the Dead. couple that with the reason if many sages that we are born to learn. Couple that with the belief of the Greeks that beauty is virtuous and the ultimate attainment. It is then possible that Goodness is the higher authority and comes from within. Why Then would we need a God or Superchimp? They are the constructs of centuries of religious propaganda. It only started with the monotheists of old testament. And that was written by a bunch of Jewish scholars in the 5th century BC in Babylon. Many other beliefs predate their constructs and indeed those scholars borrowed from the ancient Chadean ‘Epic of Gilgalmesh’ or the story of the flood. Interesting review, canvassing some issues raised by the Brazilian “polymath”. And taking our minds off the ineffable bon mots of intellectual giants like Chris Gayle. Here’s a review line to start a debate: “the task of religion begins where the instruments of the party of Enlightenment lose their efficacy”. This implies “Enlightenment” has failed, cf 20th C madness, when the Teacher (the Church) left the classroom and the bad boys ran wild. So apparently Man cannot be trusted to manage own affairs, because of his inherent flaws: “Our mortality, our groundlessness and our insatiability [which[, Unger claims, are ineradicable flaws in the human condition”. Though here Unger nods to Christianity’s Original Sin. Man as “fallen”, inherently flawed, and thereby condemned forever after to live with this impaired condition. So Unger is suggesting we need a religion, of some stripe, on which to rely, rationally for our own collective benefit? In our collective self-interest, to remedy the implications of our innate deficiencies? Christianity is not backward in offering an antidote, redemption, salvation through Jesus etc. But Christianity has longstanding form, has fouled its nest. And Islam has now forgot its Dale Carnegie? Unger’s learned stroll begs the question what is religion?! Presumably some set of faith-based beliefs resorting to some manner of otherworldly concepts, gods, deities, Principles, whatever. If one accepts the Flawed Man supposition (which science would not) it raises the interesting philosophical twist, does Man rationally set about devising a religion as a solution that best fits the problem, whether he really believes it or not?